It’s ramp season. For those unaware of what ramps are (I didn’t know until a few years ago either), they’re a member of the allium (onion) family, and are also called wild leeks. As far as I know, they’re only found through foraging, and can’t be domesticated easily. They have a pretty short season, but it comes with a lot of publicity. Ramps have been popular in Appalachia for years (since they grow all over there, and even up here), but more recently have become kind of a chic, foodie food. 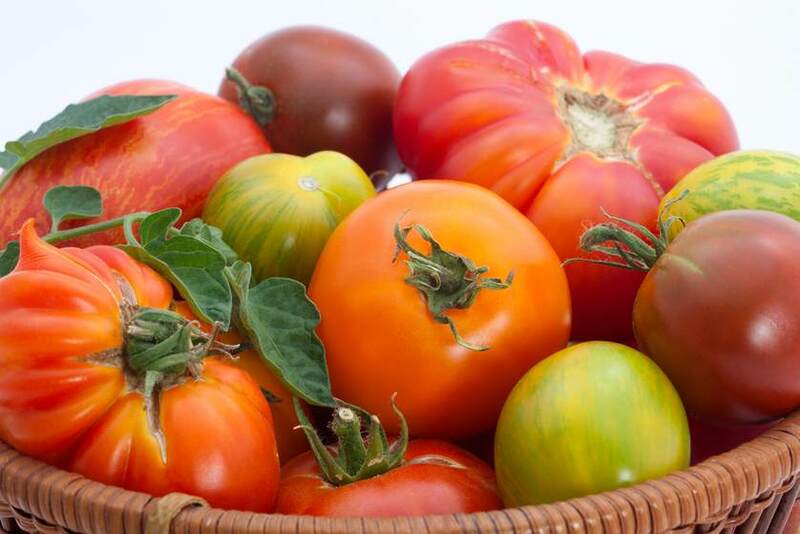 As such, they can carry a high price tag, so they’re often over-harvested, and many states have now places limits on what you can pick (sustainable is said to be no more than 1/5 or even 1/10 of a given plot, since it’ll take 4-5 years for them to be ready for harvest). 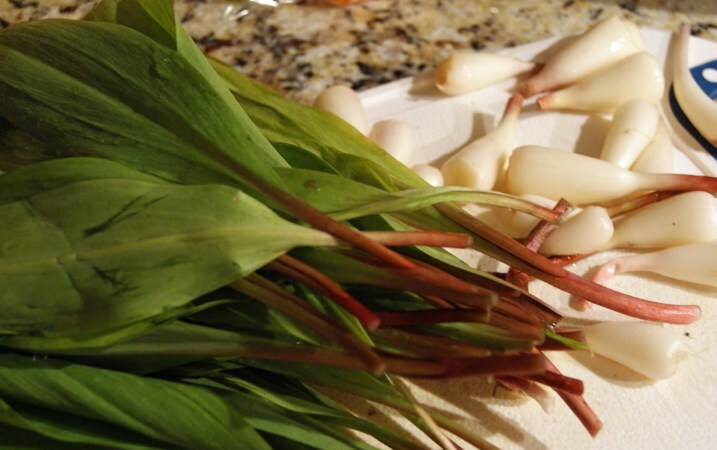 We’ve never had ramps, so when they were available for a few short weeks at the market, we picked up a couple bunches. Most of them were planted in the woods (since they’re pulled up with roots intact), in the hope that some will take hold, and we’ll eventually have a few patches of our own to harvest. They are quite pungent, kind of a cross between onions and garlic (and, some people say, smelly shoes). I’d recommend cooking with them on a day when you can open the windows. Since they’re more or less interchangeable with onions, they’re very versatile. 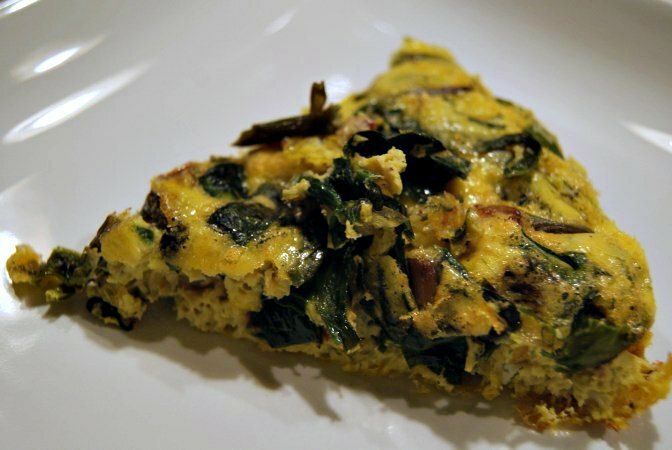 For this application, I simply diced and sautéed a bunch with some of our New Creation bacon, then mixed that into a bowl of eight eggs, and baked the whole thing in a greased pie dish for about 30 minutes at 325 F.